Simple one-pager for an upcoming product. 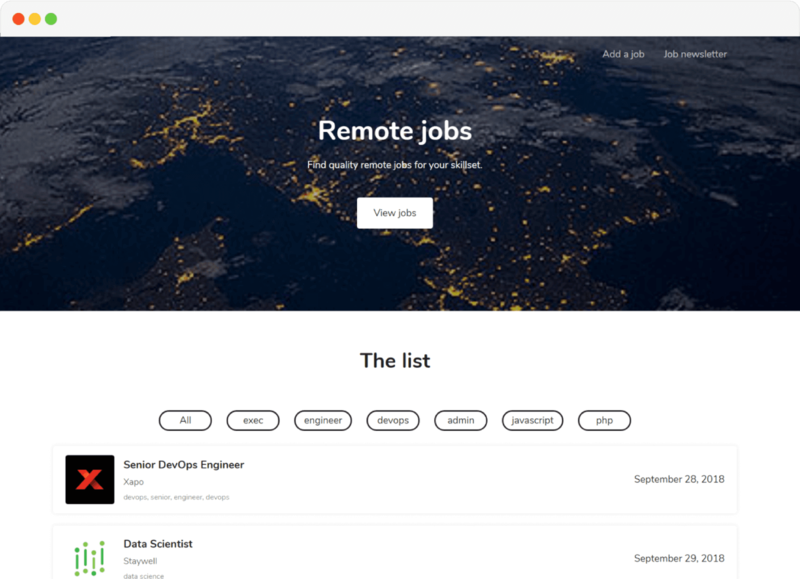 A job listing site like RemoteOK. Site with card-design listing cities suitable for digital nomads. Missing a feature? Let us know and we'll add it to the roadmap! What type of websites can I make? Table2Site is suited for listing-sites (for example job boards or NomadList), small landing pages, coming-soon pages and email capturing pages. Are there any technical limits? 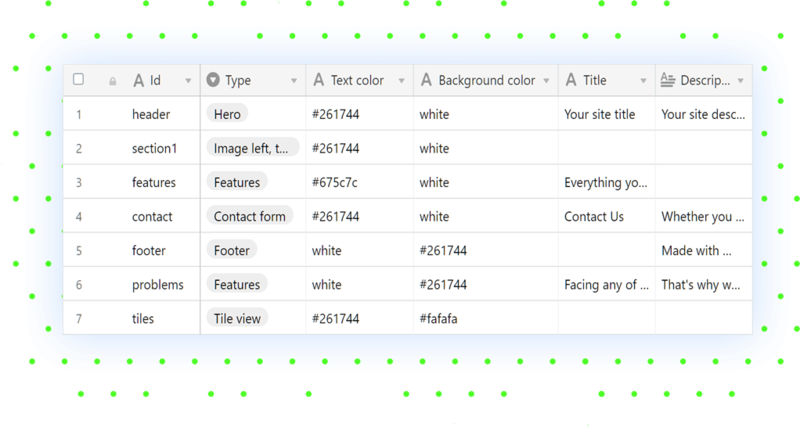 The Airtable API only allows 5 API calls per second. We cache your content & settings on our server so you're not likely to hit that limit. 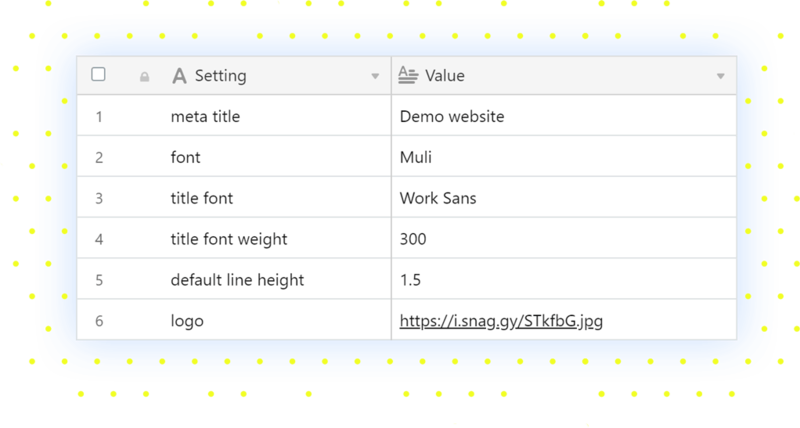 Make sure to turn off development mode on your site to enable caching. We do not currently cache list/cards data so we advice to have a maximum of 2 lists/grids on your website. Have another question? Chat with us! Not happy with your purchase? 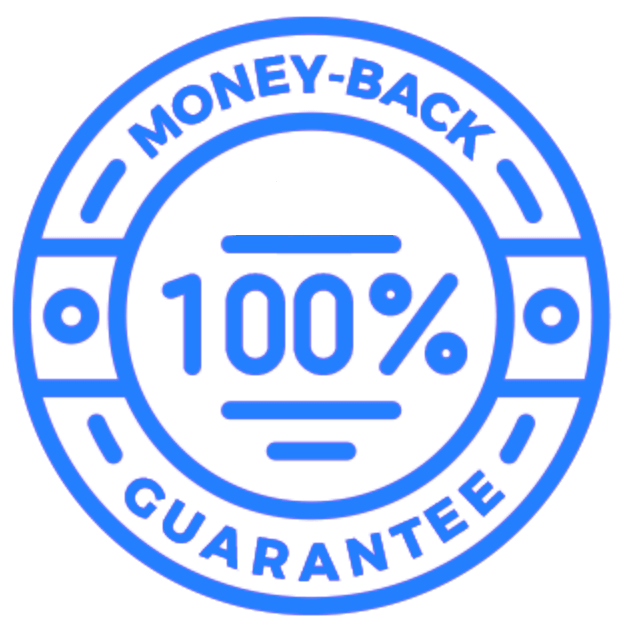 We have a 14-day money-back guarantee.